As you can read in the title, we’re going to perform a ‘Man in the Middle Attack’ using Ettercap, dSniff tools and of course, my favorite, Wireshark. Just to let you know, I’ve performed this attack on a my Mac.... Hints for Ettercap on MacOS Introduction. Due to the BSD origins of Mac OS X, most Linux based programs and libraries can be ported to Mac OS X. Basically the challenge is the distribution of pre-compiled software packages to ease the pain of manually resolving dependencies and manual compilation of the same. I use the dns_snoof plugin in ettercap on macosx, but I can't find the etter.dns file on macosx, I don't know why , can you give me some tips? thanks a lot! 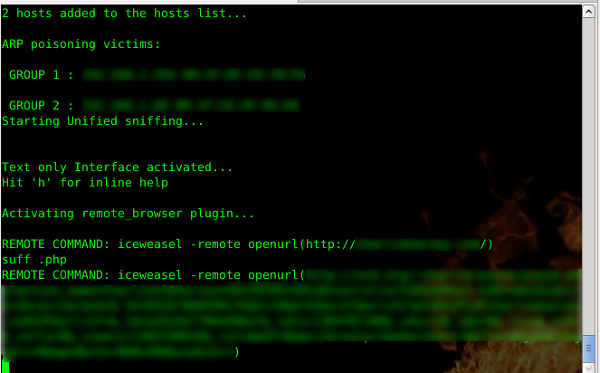 ettercap share how to take drum out of washing machine 16/09/2015 · Kali Linux 2.0 Tutorials Sniff Network Using Ettercap and Driftnet. In our tutorial, we will use the case study below where a machine with IP 192.168.1.2 reaches internet resources from a local network. After the ARP poisoning attack, The Ettercap machine with IP 192.168.1.100 is set as "man in the middle". Address Resolution Protocol (ARP) is a stateless protocol used for resolving IP addresses to machine MAC addresses. All network devices that need to communicate on the network broadcast ARP queries in the system to find out other machines’ MAC addresses. 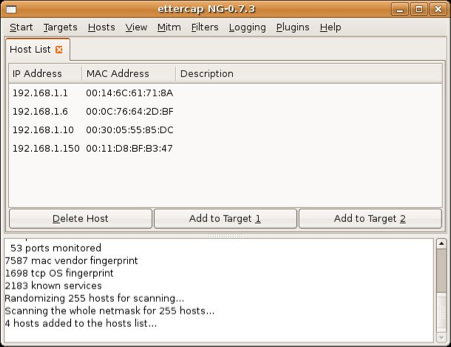 Ettercap is a free and open source network security tool for man-in-the-middle attacks on LAN. It can be used for computer network protocol analysis and security auditing . It runs on various Unix-like operating systems including Linux , Mac OS X , BSD and Solaris , and on Microsoft Windows .